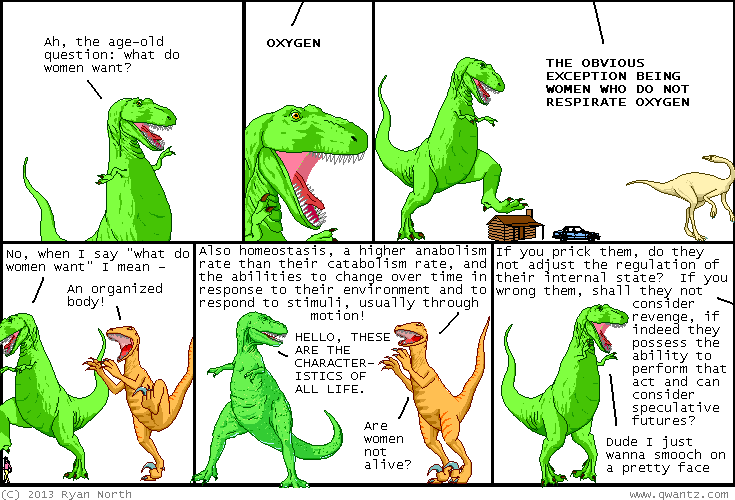 Dinosaur Comics - June 13th, 2013 - awesome fun times! –FACT: Dogs are alive. Some of them, anyway! !